As nerve-wracking and demanding bookkeeping may seem, organizing and maintaining your books isn’t exactly a choice lest you want to run into tax troubles and even potential lawsuits. Even successful businesses admit to committing slight oversights over their bookkeeping, but they make sure that their numbers are in order when the time comes for them to submit tax returns. The diligence to perform crucial tasks like filing tax returns is perhaps the most important reason why you can’t afford to be bad at bookkeeping. 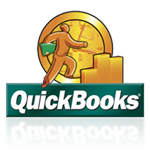 Once you’re unable to keep up with your bookkeeping, drastic results will follow, and will often end with your business getting hurt. If you’re not confident in your accounting skills, let a bookkeeper do the heavy lifting for you to avoid potential legal troubles in the future. Potential lawsuits you may encounter can stem from the court’s assumption that you’re commingling your funds. You know in your heart that the accusations simply aren’t true, but your checkbooks show the court otherwise. Make sure that you have separate checkbooks from the start to substantiate the corporate veil, showing that your business is its own entity and proving that you’re not commingling personal and business funds. Remember that your business must be able to backtrack its financial records for at least six years, just in case you find any discrepancies with your taxes. Also make sure that each receipt contains the correct supporting information that proves that a particular transaction was indeed a business expense and not a personal one. Each of your employees needs to be compensated properly for the hard work they have done for your business, and bad bookkeeping skills make it difficult for you to pay their dues on time, with the proper deductions (e.g. taxes) taken off. Not only will it cost you money (paying your employees with the wrong amount), but it can also take a toll on your manpower (good people starting to leave due to a lack of financial security). Bad bookkeeping skills and disorganized books can only cause constant stress for a business owner, making you feel constantly on edge and anxious about your venture’s financial state. You can’t afford to get bogged down by stress when you could instead focus on further growing your business. 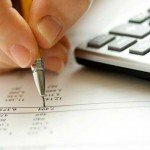 Don’t fret if you’re admittedly bad at bookkeeping, as specialist firms like Perfect Accounting Service in Naples, FL can provide your business with a competent accountant that can do all the bookkeeping for you. With professional assistance in this aspect, all you’ll need to worry about is how you can continue achieving your business goals.